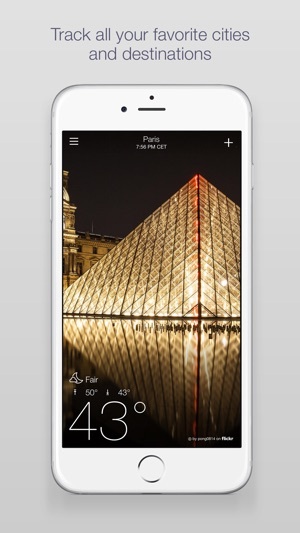 An elegant blend of striking photography and nuanced information, Yahoo’s interactive weather app will delight you every time you open it. 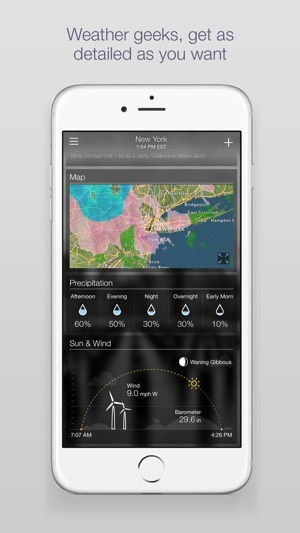 Expanding the wonderfully streamlined interface reveals a 10-day forecast, heat and wind maps, and other handy displays, while a quick swipe lets you instantly check the temperature in another favorite location. 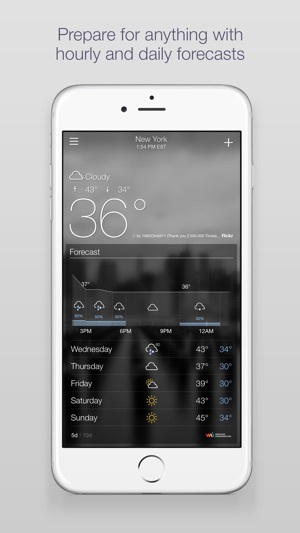 I have not tried a whole lot of weather apps, but I did read about several before choosing one. The reason I tried this one is first, that it is free. Second, it is detailed with many options and as far as I can tell, seems very accurate. I love all the little animations that it adds for effect. Like showing the windmills spinning according to how fast the wind is blowing, and showing the sun moving across until it hits the area that it currently is at in the sky. There is a map of the area at the bottom that has several options for viewing such a satellite and radar. You can add and delete cities and move them around as you like. It gives a 10 day forecast. And a beautiful picture to go with each city. For a free app, this one is very impressive. And the advertisements that are inevitable with a free app, are non-intrusive. They show up as a section of their own as you scroll down through the various sections of each city. So you simply scroll past them and it is no big deal. They do not interfere with viewing. Wonderful weather app. Widget never works. 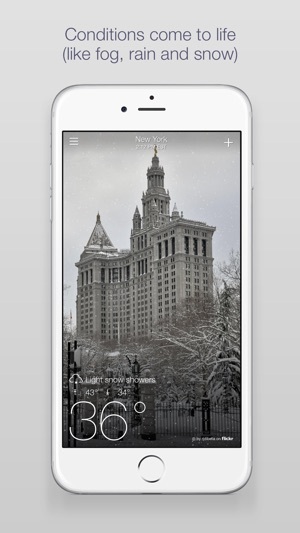 The app itself is wonderfully laid out and as a designated weather app works wonderful as such. It’s accurate, it’s easy to use, gives the right information, and is pleasing to look at. The daily weather notifications in the morning and evening are a nice plus to have. 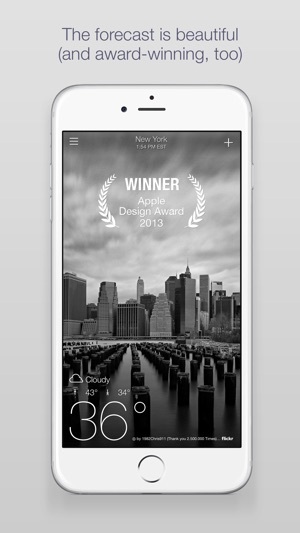 Great weather app. The widget however.... never works and that gets frustrating sometimes. I am always forced to have to unlock my device and open the app to check the weather since the widget never updates itself. Also as far as information on the widget is concerned, it’s very slim. Gives you the current temp and the highs and lows, that’s it. Even when you expand the widget hoping to see say, a small snap shot of the forecast, hint hint yahoo... pop up as well it instead just makes the widget bigger overall with no change to the info. Overall its a good weather up needing a few details worked out.